The coeditors are successful textbook authors who, between them, have over fifty years of teaching experience in the college classroom. Sonia Maasik, a lecturer in the UCLA Writing Programs, has taught writing from developmental to advanced levels, and coordinates training for UCLA writing programs' teaching assistants. 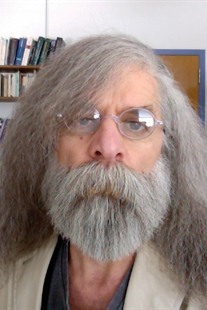 Jack Solomon, a professor of English at California State University, Northridge, teaches literature and critical theory, along with his graduate and undergraduate classes on popular cultural semiotics, and is often interviewed by the media for analysis of current events and trends. He is the author of The Signs of Our Time (1988) and Discourse and Reference in the Nuclear Age (1988). The two together have published Signs of Life in the U.S.A.: Readings on Popular Culture for Writers, Sixth Edition (Bedford/St. Martin's, 2009) and California Dreams and Realities, Third Edition (Bedford/St. Martin’s, 2005).